Is there no end to this woman’s creativity? Will her muse ever shut up? MOUNT LAUREL, Ala. – Nov. 4, 2017 – PRLog — The Red Shamrock Pub is hosting a book-signing event with Susan Marie Shuman, author of “Eddie’s Underwear & Other Shorts” on Saturday, November 11, from 2:00 to 5:00 p.m. The Red Shamrock Pub is located at 42 Manning Place in Mt. Laurel, AL. 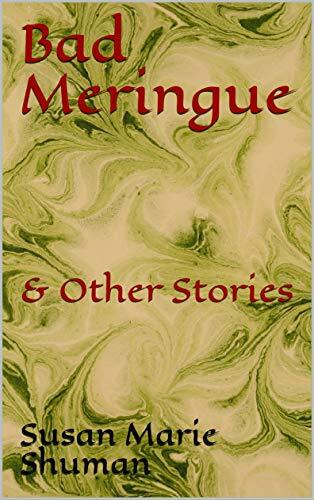 Released on September 23, “Eddie’s Underwear & Other Shorts” offers an eclectic assortment (over 100, in all) of riveting short stories, micro fiction, and Haiku guaranteed to make its readers laugh, cry, or nod their heads in agreement. Also included in this compilation is a fictional interview with Susan by Piers Morgan, which she borrowed from an interview he did with Oprah Winfrey. “Eddie’s Underwear” is Ms. Shuman’s second book. To learn more about The Red Shamrock, visit their Facebook Page. This entry was posted in Uncategorized and tagged Book Signing, Eddie's Underwear & Other Shorts, Mount Laurel AL, SusanWritesPrecise, The Red Shamrock. Bookmark the permalink. Wow. I am in a presence of an author. Bravo Sergeant Susan. 😀 I salute your success. Thank you, General! I salute you, too!